(Brussels – 02.08.2018) Automatic Systems will exhibit its entry and access control products at the security trade fair to be held in Essen from 25 to 28 September. Highlights on the company’s stand 3G123 in Hall 3 will include the AccessLane swing gate. The barrier-free swing gate has been specially developed for people with restricted mobility or people carrying suitcases or bulky items. It is designed, after successful authentication, to allow both partial opening, so that only one person can pass through, and full opening. The gate can ideally be used in addition to SlimLane or SmartLane systems, as trade fair visitors to the stand can see for themselves. The SlimLane gate with its single or double glass doors likewise permits only authorised access and offers a wide range of customisation options, such as a black housing. “We have recently upgraded our control technology for the AccessLane system, so that it now operates on the same basis as the SlimLane. The control system includes features such as an Ethernet interface and HTML software, which means that no further equipment software is required on the PC,” explains Stephan Stephani, Sales Manager Germany at Automatic Systems. 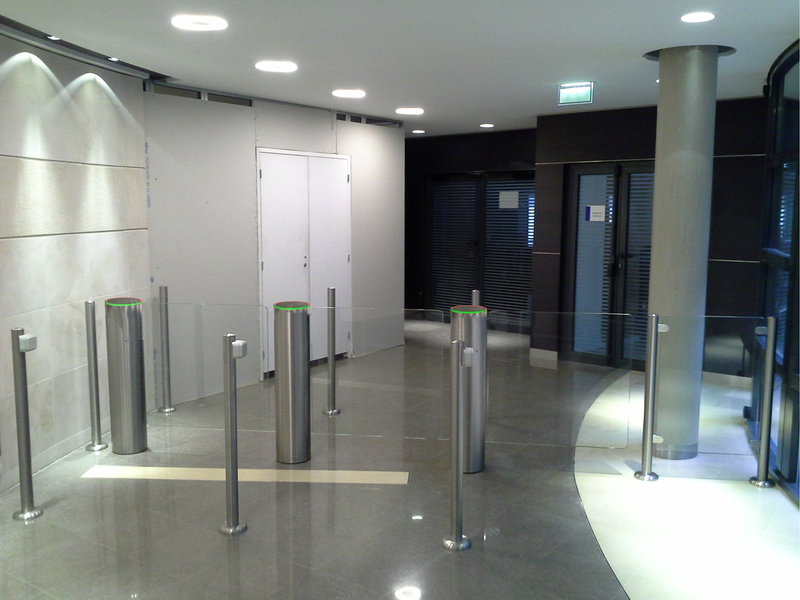 Also on display is SmartLane, another gate with variable security levels and a high detection rate. It counters forced opening attempts with mechanical locking and an acoustic and electronic alarm. The advantages of the new control system also benefit the company’s barrier systems. Older models can be retrofitted with the current version and thus upgraded to the state of the art. In terms of high security products, both the BL229 barrier for larger clearance widths and the BL47 model with a rigid aluminium fenced barrier will be on show. The latter is specifically designed for hazardous areas. Moreover, with its high security bollards, the company is once more responding to the need for security in public spaces and has found the perfect balance between security and the free movement of pedestrians. “We receive an increasing number of enquiries relating to high security products, which is why we are exhibiting our extensive range at Security. We look forward to discussions with professional visitors in order to understand their requirements,” says Stephan Stephani with reference to the trade fair.